Fig.1. Location map for the Azuara (A) and Rubielos de la Cérida (R) structures. Fig.2. 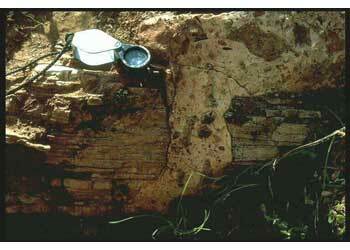 Impact melt (whitish ribbon; hammer for scale) embedded in megabreccia near Barrachina (M in Fig.5). Fig.3. 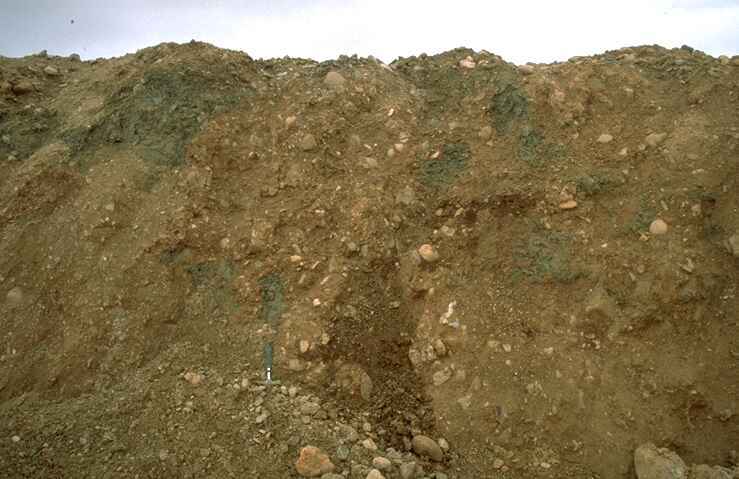 Silicate glass from the impact melt (field is 12 mm wide). (polymict breccia near Torrecilla; field is 400 µm wide). Fig.5. Sketch-map of the Rubielos de la Cérida structure. 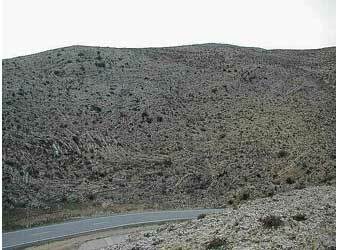 1 drainage pattern, 2 Paleozoic, Mesozoic and Lower Tertiary rocks, 3 Upper Tertiary and Quaternary rocks, 4 Pelarda Fm. ejecta, 5-10 Muschelkalk, Keuper, Jurassic, Cretaceous in the central uplift.About 50 km south of the Azuara impact structure (35 – 40 km diameter; Fig.1) [1, 2], the Rubielos de la Cérida structure is defined by a circular to elliptical basin with a diameter of roughly 40 km, a circular central uplift with a diameter of about 15 km and a 500 m stratigraphic uplift, and a geometrically associated drainage pattern (Fig.5). The most significant feature is the enormous compressive signature in the rocks including gries brecciation  (Fig.9) and continuous megabrecciation up to chaotic criss-cross layering nearly everywhere (Fig.10, 11). 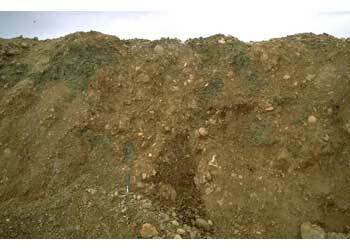 Apart from the general megabrecciation, all kinds of monomict and polymict breccias (Fig.8) and breccia dikes (Fig.6) occur. 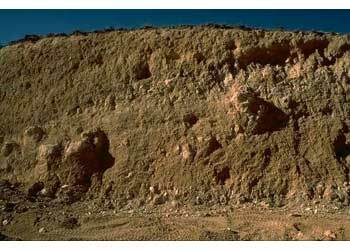 – Strong evidence for an impact origin of the Rubielos de la Cérida structure is given by the find of compact melt rocks within the structure between the central uplift and the northern rim. The melt rocks (silicate, carbonate, and phosphate melt) occur as blocks of variable size intermixed in a polymict megabreccia (Fig.2, 3). A petrographic description of these melts is given in . – More evidence of impact signature in rocks from the Rubielos de la Cérida structure is given by the occurrence of shock metamorphism. We observe heavily disintegrated feldspars with strong mechanical twinning and multiple sets of PDFs, crossing sets of isotropic lamellae in twinned feldspars, diaplectic quartz and feldspar together with multiple sets of PDFs (Fig.4). 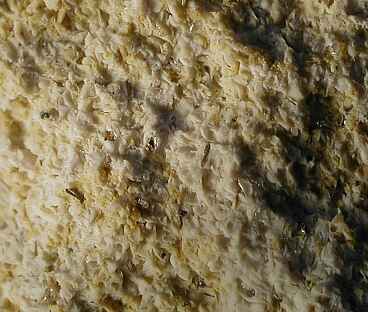 Kinkbanding in mica from silicate Creataceous rocks and strong microtwinning in calcite are frequently observed. 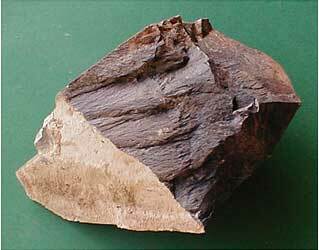 As a macroscopic shock feature, shatter cones can be found in Palaeozoic siltstones near Olalla. 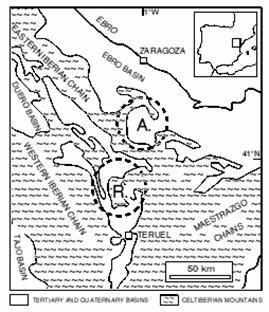 A peculiar shock phenomenon in Triassic Buntsandstein conglomerates surrounding the Rubielos de la Cérida structure is described in [5, 6]. An extended blanket of diamictites with strongly plastically deformed components, similar to the Pelarda Fm. 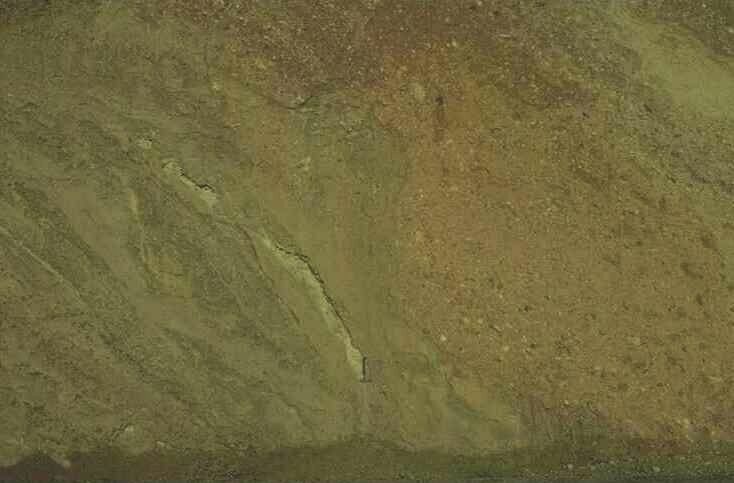 ejecta of the Azuara impact structure , surrounds the Rubielos de la Cérida structure and is spectacularly exposed at the Puerto Mínguez .Conclusions. 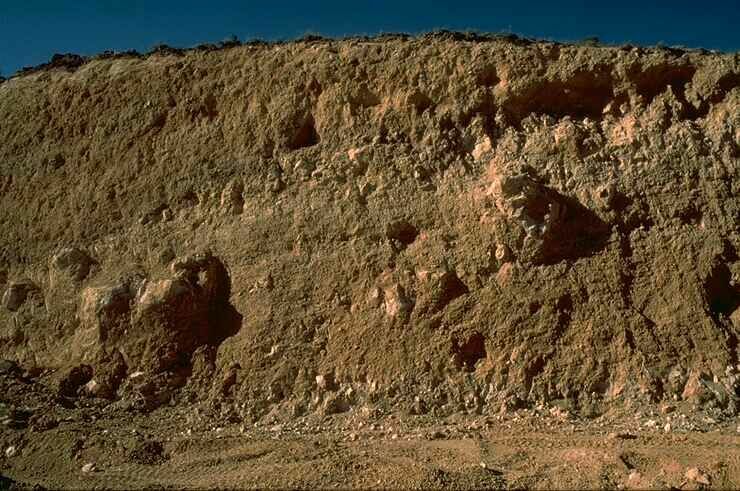 – Based on current knowledge of impact cratering and impact structures, we conclude from the observations and features summarized here that Rubielos de la Cérida is an impact structure. This established, the neighbourhood to the Azuara structure and the stratigraphic age (Lower to Mid-Tertiary) of both structures makes a synchronous impact of a paired projectile very probable hence constituting the largest presently known terrestrial doublet impact structure.References: –  Ernstson, K. et al., 1985, Earth Planet.Sci.Let., 74, 361-370. Ernstson, K. and Fiebag, J., 1992, Geol. Rundschau, 81, 403-427. Hüttner, R., 1969, Geologica Bavarica, 61, 142-200. Hradil, K. et al., this workshop. 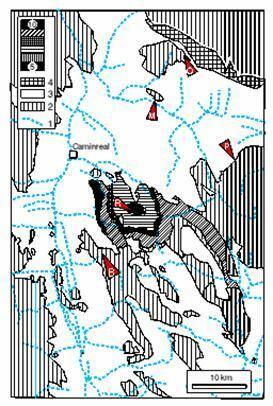 Ernstson, K. et al., 2001, Geology, v. 29, 11-14. Ernstson, K. et al., this workshop. . Ernstson, K. and Claudin, F., 1990. N.Jb.Geol.Paläont.Mh., 1990, 581-599. Claudin, F. et al., this workshop. Fig.6. 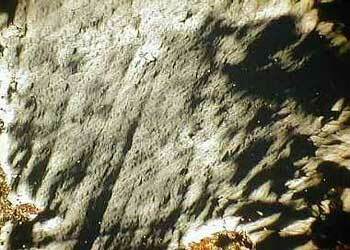 Shatter cones in Paleozoic siltstones (near Olalla; field is about 25 cm wide). Fig.7. 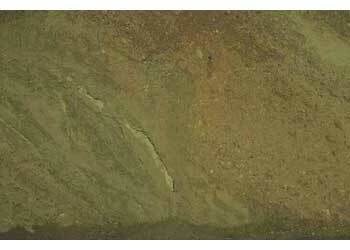 Polymict dike breccia cutting Muschelkalk limestones (near Olalla; O in Fig.5). Fig.8. Multicolored ejecta deposited in the Pancrudo valley. Fig.9. Lower Tertiary limestone megablock showing heavy gries brecciation through and through. Note some preserved „ghost” layering. Near Barrachina. Fig.10. 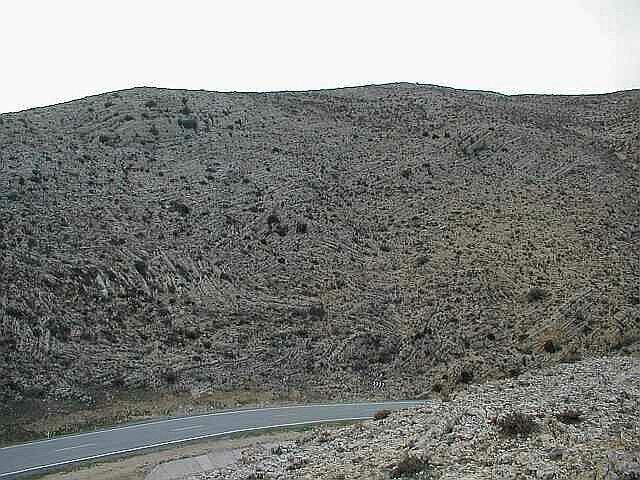 Large-scale in situ brecciation of Jurassic limestones (SW of Bueña). Fig.11. 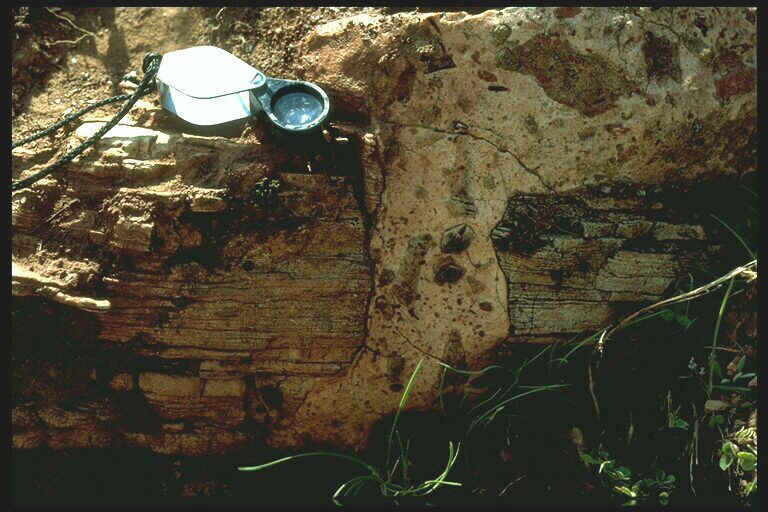 Megabreccia (criss-cross layering) in Jurassic limestones (Bueña).